Visit Block 15 Brewing Co. and Give Back! Our friends and partners at Block 15 Brewing Co. have selected Oregon Wild and the Oregon Brewshed Alliance initiative to be their February 2019 beneficiary of their People's Pint program! Look for The People's Pint tap handle to help us give back to our community, one pint at a time! 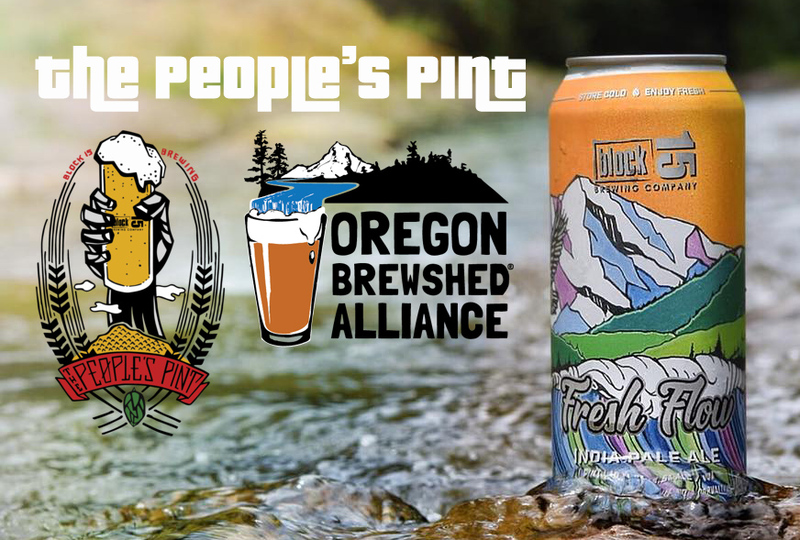 A portion of sales from the beer(s) designated as The People's Pint—as selected by our brewers—will be donated to support Oregon Wild and the Brewshed Alliance's work to protect forest watersheds across our state. Note that while there will always be a designated The People's Pint tap handle at both the Block 15 Pub and Tap Room, the selected beer might vary between locations.